Home › White Papers › How Can You Add Value by Moving to Solution Selling? Your customers don’t really care about your scientific instruments, even though they spend lots of money on them. That’s a bold statement, but I’ll show you why it’s true. So, what do they really care about, and how can you turn that into profit? The ideas I’m discussing in this issue apply very broadly; they certainly have application to other life science products and services beyond instruments, but they show up most clearly in the sale of scientific instruments, so that’s where I’ll start. If you manufacture scientific instruments, I want to share a troublesome truth: your customers don’t really care about your instruments. I don’t mean to be cruel, but given the right circumstances they’d gladly throw your instrument in the trash, and free up the space on the lab bench. With the exception of the extremely rare “gear head,” your customers would not bemoan the loss. And they don’t care about the software that runs your instrument, whether it’s your software or someone else’s. They’d be happy to never look at your software again, and get the disk space back by selecting “empty trash” from the menu bar. Now, you may not agree wholeheartedly with my claim that your customers don’t care about your instruments. But most of you, if you’re honest with yourself, agree that there’s some truth there. So I’m asking for a bit of leeway, just a few short paragraphs, while I set up this point. If you don’t manufacture instruments, these issues also apply directly to you. I’ll show you how a little later on, so bear with me. If you’ll agree with me for a little longer that your customers would be happy to throw your instrument in the trash, and erase your software, how thrilled are they about buying another instrument that does pretty much the same thing, or upgrading their software to access a few more bells and whistles? In reality, not very. Figure 1. If your customers don’t really care about your instrument, how thrilled are they about buying another instrument that does pretty much the same thing? So if they’re not that thrilled about buying another instrument, your sales team faces an uphill battle in trying to sell them one. They’ve got to overcome a fundamental problem: your prospects don’t care that much. But, you say, our sales people have sold lots of instruments already; they do it all the time. Well, consider this: maybe they haven’t really been selling instruments at all. What are customers really buying? What is the reality behind this troublesome truth? 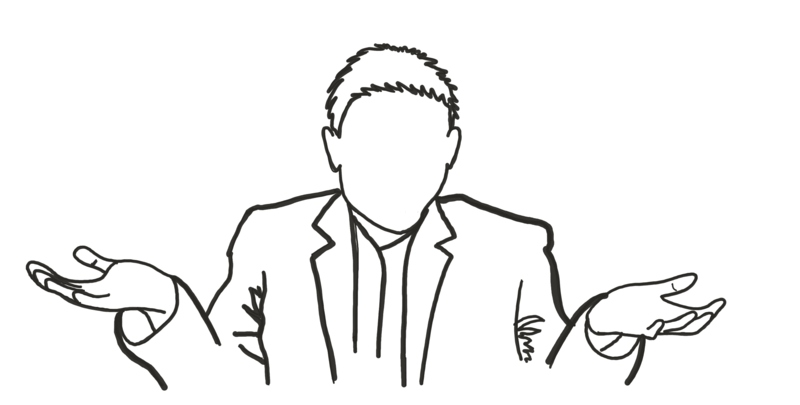 Just this: Your customers don’t care about your instrument or your software because what they really care about is the data that they get from your instrument and your software. And actually, they care less about the data than they do about the interpretation of that data. And if they could wave a magic wand and have the interpretation sitting on their lab bench, they’d gladly bypass buying your instrument, doing the required maintenance, restocking the reagents, running standard samples to requalify the instrument’s performance and all the other things that have traditionally been necessary to achieve their real end goal, whatever that may be. Your customers care about the data, and more importantly, the interpretation of that data. And they care about the interpretation of the data because that lets them answer a question for their company or their customers, or validate a new assay, or develop a new pharmaceutical product. To them, your instrument is a nothing but a window, through which they can see the thing they really care about. 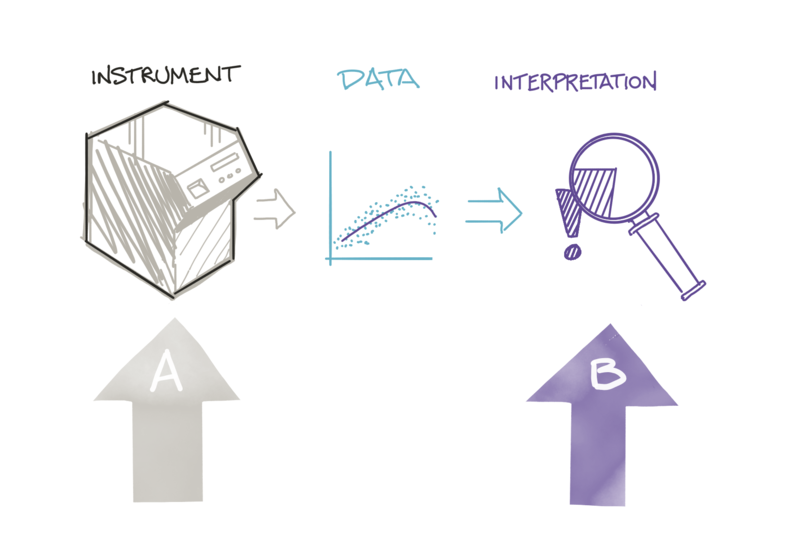 Figure 2: Your instrument (A) is really nothing but a window, through which your customers can see what they really care about, the interpretation of the data (B). When you’re on vacation, you don’t ask for a room with a view because you care about the type of window in the room (double-hung, casement, or bay window). When you check in, even if you ask for a room with a window, what you really want is a view. You care a lot more about the view than you do about the window. Because, let’s say, what you really want to do is watch waves lap at the shore all day. Hotels charge more for rooms with a great view, and customers are willing to pay. If your customers care more about the view they get through the window—that is, the data and its interpretation and then the application of that interpretation—than they do about the window itself, then maybe you should stop putting so much emphasis on selling them a window—in this case, your instrument. How would you move beyond selling the instrument? Well, the immediate solution that your customers care about is the data and its interpretation. Your customers get this data through a process, which probably starts with sample acquisition, and moves through sample prep, running this sample through your instrument, capturing the data with software, interpreting the data, and sharing the interpretation and the data. Your users would rather just snap their fingers and have the interpretation of their data sitting on their desktop, but they can’t, can they? So you need to show them how using the instrument (not just the instrument itself) is moving them closer to their real goal. I’m talking about a workflow. Figure 3: You can “move beyond the instrument” and create more value for your customers by helping them throughout their entire workflow. You can move beyond the instrument by articulating a clearly-defined workflow, one that matches your customers’ needs and supports best practices. While your instrument will play a crucial role in this workflow, it’s not the only component. There are other components and other steps, and your customers perceive distinct value in each—most important, when the workflow results in them getting the data and information they need. This perceived value enables you to “move beyond the instrument.” Or, put another way, your instrument is now tied more directly to the customer’s ability to achieve her or his end goal. Workflows enable you to describe to your customers how your instrument connects to steps upstream and down. If you can assist them with one or more of those steps, workflows allow you to reveal the value of an integrated solution— a solution that isn’t about completing a discrete step, but about accomplishing a key aim. And if you supply more value, you’ll be able to charge more. To show how a workflow can shift customers’ perceptions of value, I want to share the story of one of our clients, a multi-national organization called bioMérieux. They occupy a dominant position in a very specific sector: the clinical microbiology lab. Clinical microbiology is difficult to do well; it’s time consuming and involves many different steps, each with its own set of challenges. bioMérieux had a complete solution for the challenges faced by hospital microbiology labs. Their portfolio contained high-performing products and services supporting almost every step of the microbiology process, from sample collection all the way to data reporting and interpretation. Unfortunately, bioMérieux’s sales did not reflect this interconnected portfolio. The vast majority of their sales were for a single instrument (and the associated reagent package). Their sales and marketing teams hadn’t found a way to capitalize on the natural synergies among their interconnected portfolio. Together with the marketing and sales teams, we developed a description of the ideal workflow, one that fostered conversations about the best practices—and clearly demonstrated how these best practices were supported by the entire array of bioMérieux’s products and services. Figure 4. 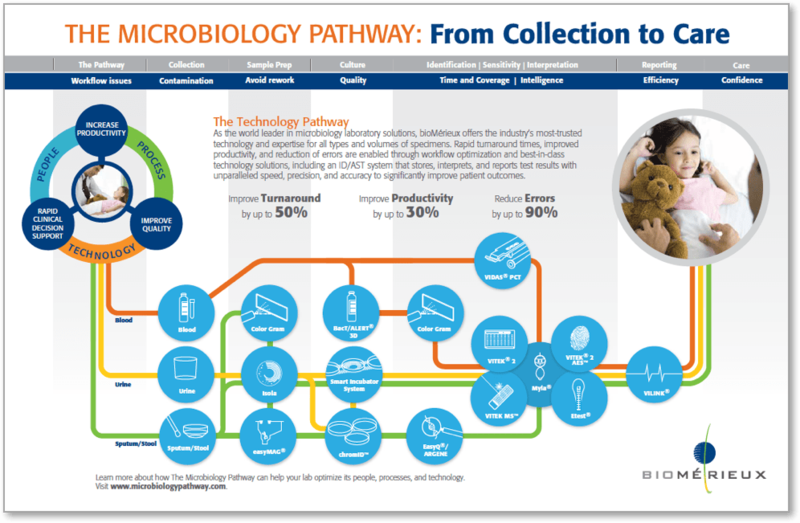 The bioMérieux Microbiology Pathway depicts the company’s portfolio of products and services as a single ecosystem. The workflow shown in Figure 1 begins on the left, with a picture of a sick patient. Three separate workflows are shown; each follows a different sample type through the lab (blood, urine, sputum/stool). The workflow concludes on the right, with a well patient. We named this the Microbiology Pathway. Each of bioMerieux’s products is represented by one of the blue circles. The services they offer address the pain points that are listed across the top. This workflow was introduced at a trade show. It informed the layout of the booth; instruments were grouped together according to their position in the workflow. The Pathway also formed the basis for the booth’s graphics, for the breakout sessions that were offered, for the videos that ran in the booth, etc. The Pathway turned out to be a natural conversation starter, allowing the staff manning the booth to ask, “Well, how are you handling these challenges today?” The staff was then able to draw connections between best practices and instruments, showing how each instrument connected to products both upstream and down. The Microbiology Pathway was incredibly effective. There was a 32% year-over-year increase in service projects performed. Purchase orders for 2 or more solutions increased by 22%. Web traffic on the Microbiology Pathway microsite averaged 10% higher per month over any existing bioMérieux microbiology-focused microsite. At a key industry trade show, over 400 people toured the entire solution pathway, quadrupling the product leads over the previous year. Sales rep requests for the initial Pathway brochure depleted 5000 copies in 5 months—300% faster than any previous brochure. Making the transition from selling an instrument to offering an interconnected ecosystem of solutions really can pay off. You have two avenues to successful solution selling through workflows. I’ve often heard from the C-suite, “We need to make the transition to selling solutions.” There are two ways to reposition your instrument as a real solution. One is more popular and easier; the other is more difficult and rare, but a lot more effective. The first option is to relabel your instrument as a “solution.” That’s it; you’re done. In the narrowest view, this is true; your instrument is a solution to your customers’ needs. This way rarely proves to be effective. Even if you train your sales team in probing for the real needs that your instrument can “solve,” you’ll have challenges. Since your offering hasn’t really shifted at all, in a week they’ll be back to selling your instrument the way they always have, as an instrument, not a solution. And your potential customers will see through this charade in a heartbeat. Without offering any added value, they’ll leave you positioned in the same “mind-space” they’ve always put you in. The second, better, option is to take a larger and more strategic view—recasting the customer’s experience as a journey, and identify what you can do to support this journey at many (ideally all) steps. In other words: put yourself in your customer’s shoes, so you can figure out how you can make their lives better. This involves creating a real solution, a web of interconnected offerings that deliver real value to your customers through an integrated approach. This requires that you expand your offering beyond the instrument, both upstream and down. If you don’t have these offerings already, you’ll need to buy or build them, which may require realignment of your product development team. As you do so, you’ll need to keep best practices firmly in mind, so the result has real value to your customers. Once you have multiple, interconnected solutions, you’ll need to communicate these in a way that makes both the synergies and the value of interconnected solutions visible. It often makes sense to do this for a specific vertical market, but this is not strictly necessary. And this takes us to best practices. 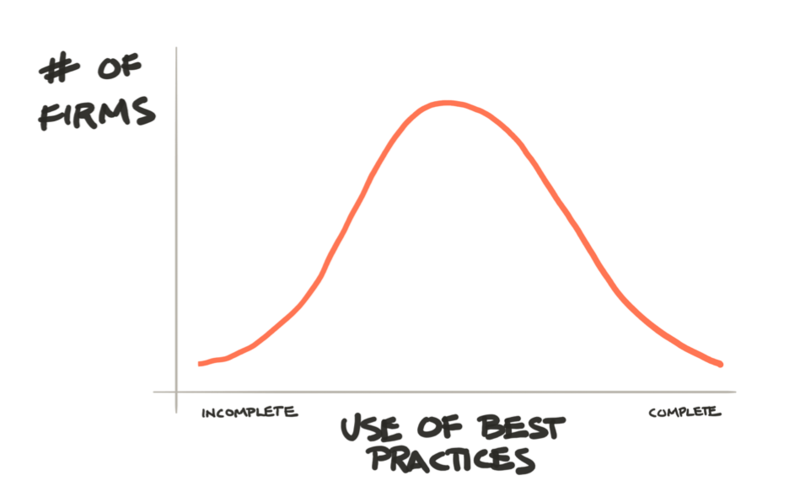 The value of best practices. Think about your customers. Does each and every one embody best practices in their lab? No, of course not. There’s probably a normal distribution of firms, with a few utilizing the absolutely best practices, a few utilizing really bad practices, and the vast majority somewhere in the middle. This distribution represents an opportunity to move beyond selling just an instrument. Figure 5. Not all of your customers utilize best practices. The fact that they don’t is an opportunity to sell them a solution. A workflow can embody best practices. When you become the supplier that can help your customers “up their game,” you become the supplier they’re more likely to turn to for solutions. A workflow is a great tool to support solution selling by your business development team because it provides a clear roadmap for customers to both work better and achieve important goals. As I’ve been describing, when we put too much focus on our instrument, we lose sight of the bigger picture, and the real goals that our customers desire. This same myopic approach also shows up in the marketing of other life science products—reagents, tools, software, as well as life science services. The key to breaking out of this myopia is to broaden your focus to include your customers’ real desires. Look upstream and downstream from your service offering, and determine the real outcome they desire. Can you expand your offering to get them closer to achieving this outcome? Can you depict this offering as a workflow, to reveal an interconnected ecosystem? Can you embed best practices in your offering in a new way? These approaches can help you offer more value to your customers, and harness more value from your interactions with them. A view from the front lines. Fewer product demonstrations are required, and when they happen, they can focus on big-picture benefits. Prospects care less about the technical performance of the instruments, and more about the results. Discussions with customers happens at a higher level inside the organization. There is more recurring revenue. Figure 6. Moving beyond the instrument to more authentic solution selling requires that you broaden your focus beyond your current offering to the entire ecosystem, whether you sell instruments, reagents, or services. Moving to solution selling requires an adjustment. If you’re moving to solution selling, you have to shift your focus. You must address your user’s pain points head on. You must fully understand best practices, and ensure your tools support these. You must reconsider your offering from the point of view of the customer’s “journey of use,” stretching from sample prep to data-out, including maintenance and data interpretation, documentation and sharing. And you must communicate the workflow clearly, as a solution that is larger than just your instrument. You must enable your sales team to fully understand the value of your offering, and you must give them the tools to can communicate that effectively.